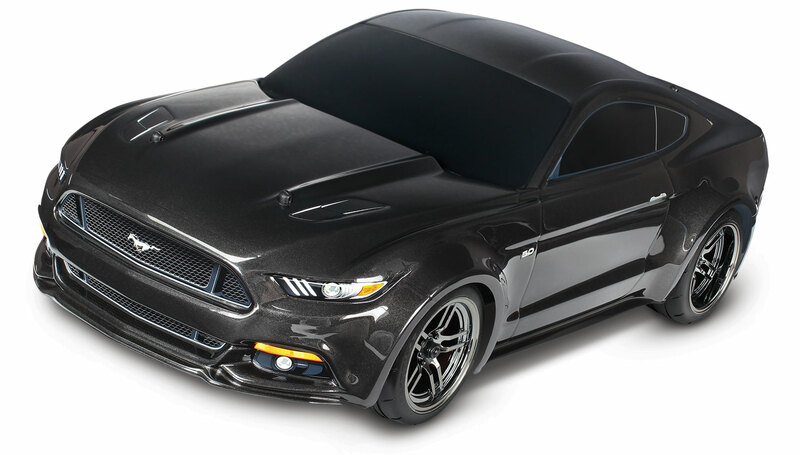 This is the 1/10 scale Ford Mustang GT AWD supercar that is RTR with TQ 2.4GHz radio system and XL-5 ESC (forward/reverse). The new Traxxas Mustang GT honors the spirit and attitude of the full-size car and begs to be driven hard on the all-new 4-TEC 2.0 chassis. Icon. There is no better word to describe the Ford Mustang. For over 45 years, the Mustang has outsold every other sports car in America. Sleek, unmistakable body lines cut through the air with authority while a thoroughly modern chassis keeps the Mustang planted in the curves. Add a massively powerful 435hp 5.0L V8 engine and you have the recipe for an American legend.